Pure Elements is Pat Bravo's new solid fabric collection. The colors are so rich and vibrant that I couldn't resist adding these to my stash. What's more these solids are of a truly fine quality with an ever so slight sheen which only enhances the depth of color. Beautiful! I was just looking at Patricia Bravo fabrics but not solids. These require a look-see! Those are nice! Although the colours remind me more of popsicles than elements. I added the Patchwork and Quilting blog list button to my blog this evening :) Love those fabrics! Beautiful solids! These are really beautiful solids, I thought I noticed a shean in the first photo but wasn't sure if it was the camera playing a trick! Those colors are gorgeous! 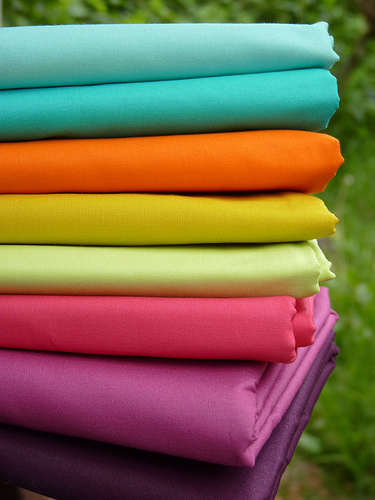 I am loving AMH's new solids, too -- have you seen them? LOVE! Lovely... Trying to resist buying fabric that's not for a specific project but these are very tempting! The colors are so eye catching, I love them! Lovely fabrics. 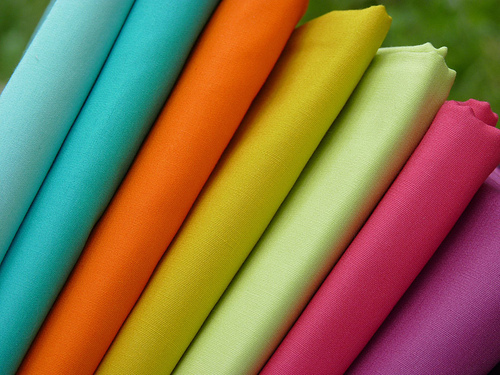 When you are purchasing fabrics, do have a certain amount in mind to buy. For example with the solids collections you are highlighting, would you purchase 1 meter of each or 2 meters? Would you purchase a different amount if it were prints? Just wondering. Those are beautiful! I'm jealous. Thanks for the sunshine this morning. Was hoping for a bright photo to start my day and I knew that if anyone could deliver, it'd be you! And thank you for sharing about the fabrics--I'm always looking for a good, quality solid. Beautiful collection of solids. Just beautiful.